ABUJA—The Senate, yesterday, warned the National Drug Law Enforcement Agency, NDLEA, against any illegal extradition of Senator Buruji Kashamu to the United States of America. To this end, it ordered the agency to stay away from any further harassment of Senator Buruji Kashamu over alleged drug related offences committed in the United States of America. This came as Senator Kashamu, who represents Ogun East Senatorial zone in the National Assembly, raised alarm that apart from threats to his life, desperate politicians opposed to him were planning to use the federal government to extradite him to the United States of America. The Senate’s order followed a petition forwarded to its committee on Ethics, Privileges and Public Petitions, by Senator Kashamu’s lawyer, Ajibola Oluyede, over planned abduction of the embattled senator by the agency. In the written petition to the Red Chamber, which Oluyede submitted before the committee, he alleged that based on information got from whistle blowers within the agency, plan had reached advanced stage to either kidnap or abduct the senator to the USA on phantom charges of drug trafficking. According to him, the plan, coded ‘rendition plot,’ is always used by the American government against fugitives or terrorists , non of which Kashamu can be said to be. 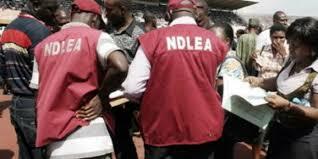 He explained further that the person behind the plot was the immediate past Chairman of NDLEA, Ahmadu Giade, who according to him, had failed in the past to achieve such illegal action against Kashamu as NDLEA boss through court pronouncements. He added that the former NDLEA boss wanted to achieve his earlier fruitless plot now, as Special Assistant on Narcotics to the Attorney- General of the Federation, AGF, Ibrahim Malami.